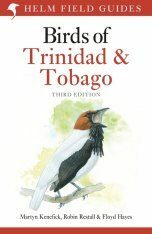 This is the 24th title in the BOU Checklist Series and is the definitive account of the birds of Barbados and complements other BOU Checklists covering other Caribbean Islands. 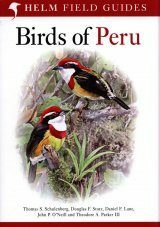 This is a detailed avifauna of a fascinating island that has so much to offer to the casual observer or studious ornithologist. Ornithologically, Barbados is one of the best-known islands in the Eastern Caribbean. 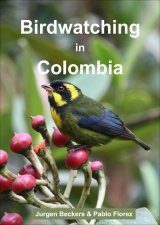 This latest volume in the scholarly series of regional Checklists published by the BOU reflects just that. 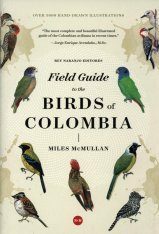 Its authorship draws upon a mix of resident ornithologists and regular visitors. Sadly, two of the long-standing resident authors, Maurice and Hazel Hutt, died before the publication of their efforts. 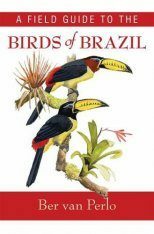 In keeping with earlier volumes in the series, this book is excellent: a treatment of the Island's avifauna that is both comprehensive and authoritative. 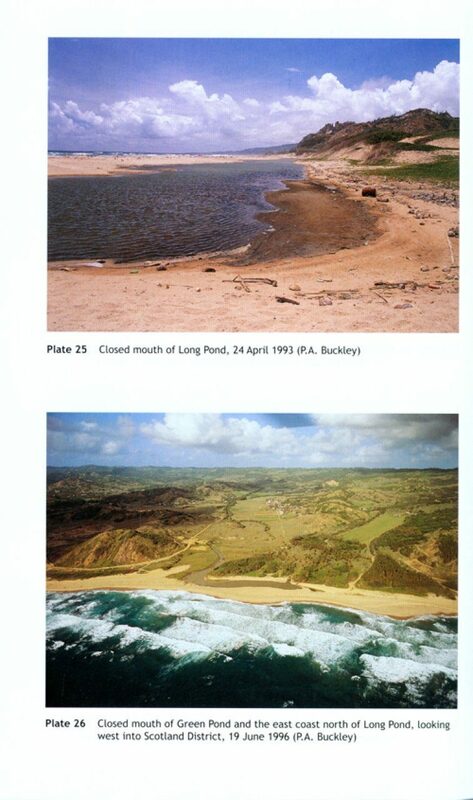 Described by the authors as the `Fair Isle of the Caribbean', it lies on a major southbound shorebird migration route as well as hosting many Neotropical migrants. 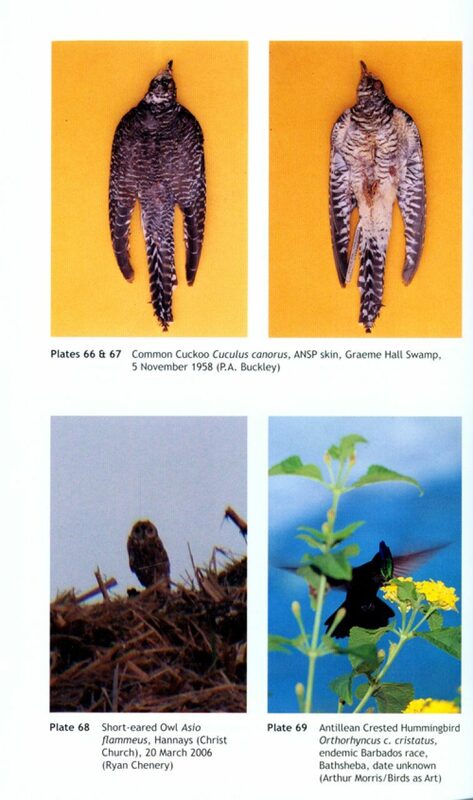 An outstanding but poignant claim to fame is the last undisputed record anywhere (4 September 1963) of Eskimo Curlew Numenius borealis, which was formerly regular on passage. Barbados is also the easternmost of the Lesser Antillean islands. Together, these attributes contribute to a systematic list that numbers 261 species despite its small size (34 km long by 25 km wide at its widest point). 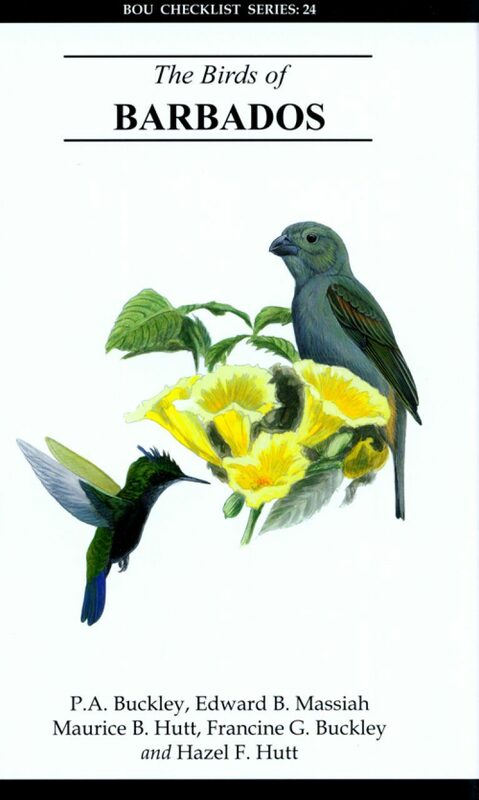 By comparison, St Lucia has only 162 species and Dominica 175 species. More than half of Barbados comprises sugar-cane fields, pasture or crops. Woodlands and forest have become very fragmented, covering < 20% of the Island. This probably accounts for its low number of native breeding species, just 31 (13 waterbirds, 18 land-bird species), one of which, the Barbados Bullfinch Loxigilla barbadensis, is endemic. The Red-billed Tropicbird Phaethon aethereus, one of two breeding seabird species, was first discovered nesting in 2007, although it may have bred earlier. This is a book of three main parts. 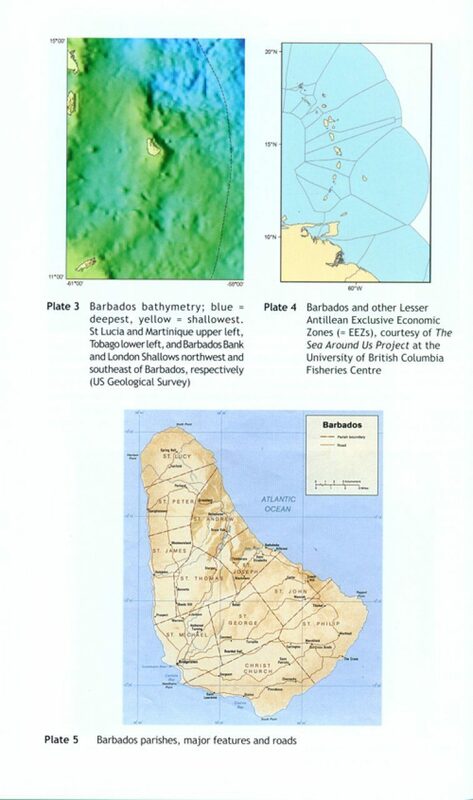 The first describes the Barbados ecosystem: topography, geology, climate, vegetation, non-avian vertebrates, human history, conservation concerns, and a wide range of aspects concerning its avifauna, ranging from biogeography and dispersal through endemism and vagrancy, migration patterns and the fossil record. 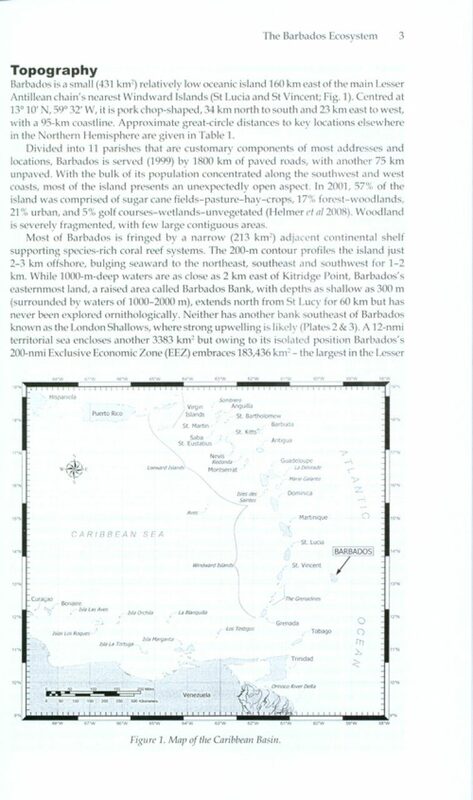 I found this section particularly interesting and scholarly, the situation in Barbados being put in perspective by many comparisons with other Antillean islands. 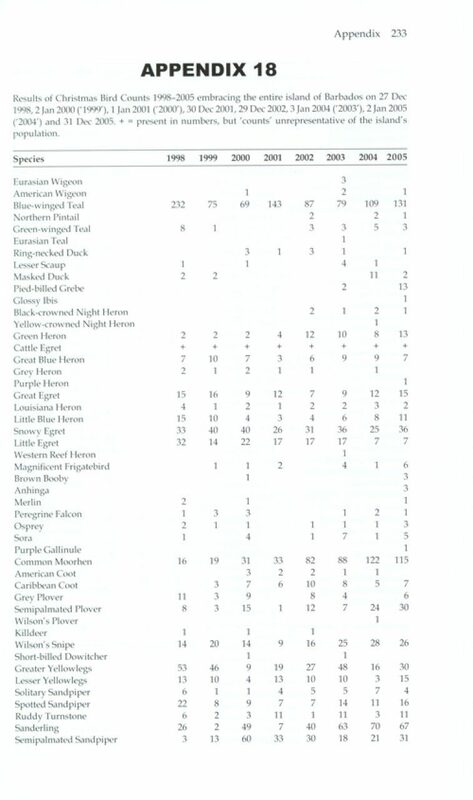 In the Systematic List, which naturally makes up the bulk of the book, world distribution and status are briefly described for each species, followed by the same in the West Indies, and then in Barbados. There follow comments about the species and a note of where museum specimens exist. Finally, there is an extensive set of 24 very useful appendices, and a bibliography. In the centre of the book are 32 pages of excellent colour plates depicting maps, habitats and selected species. 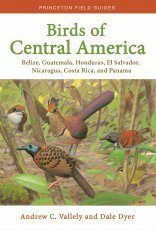 As someone contemplating preparing a BOU Checklist of the birds of Dominica, I was in awe of this book and the extensive coverage of topics that the authors have provided. 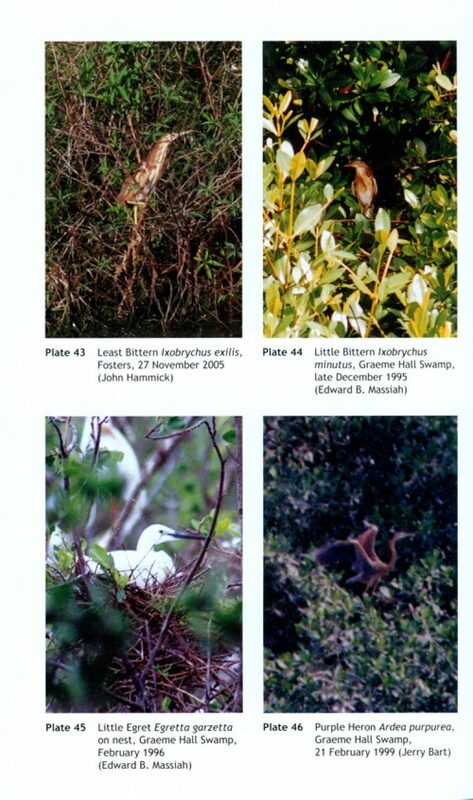 It makes a wonderful companion to Allan Keith's The Birds of St Lucia (1997; see Ibis 140: 706-707).